This lot features a vintage 1952 "Zombies of the Stratosphere" original movie theater poster. This poster remains in nice condition as it has been stored flat and has not been folded only rolled. 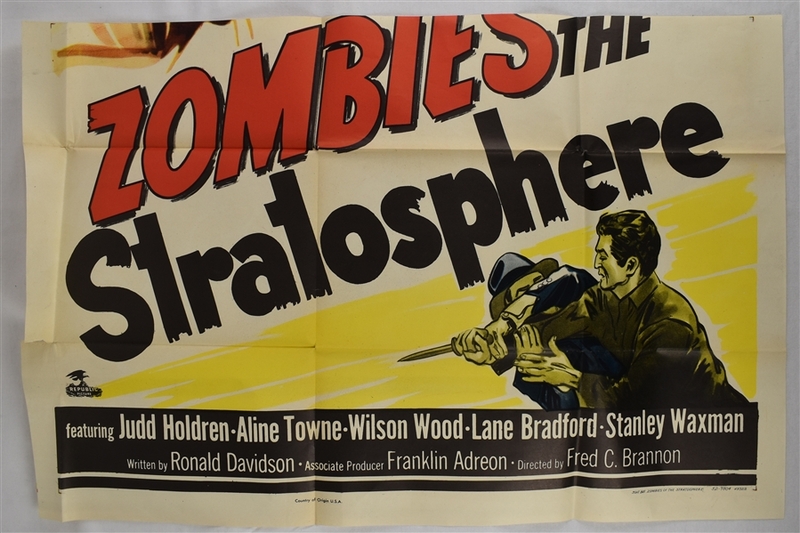 Zombies of the Stratosphere is a 1952 black-and-white Republic Studios serial directed by Fred C. Brannon, with a screenplay by Ronald Davidson, and special effects by Republic's Lydecker brothers. This was intended to be Republic's second serial featuring "new hero" Commando Cody and the third 12-chapter serial featuring the rocket-powered flying jacket and helmet introduced in King of the Rocket Men (1949). Instead, for reasons unknown, the hero was renamed "Larry Martin", who must prevent Martian invaders from using a hydrogen bomb to blow Earth out of its orbit, so that the Martians can move a dying Mars into a closer position to the Sun. 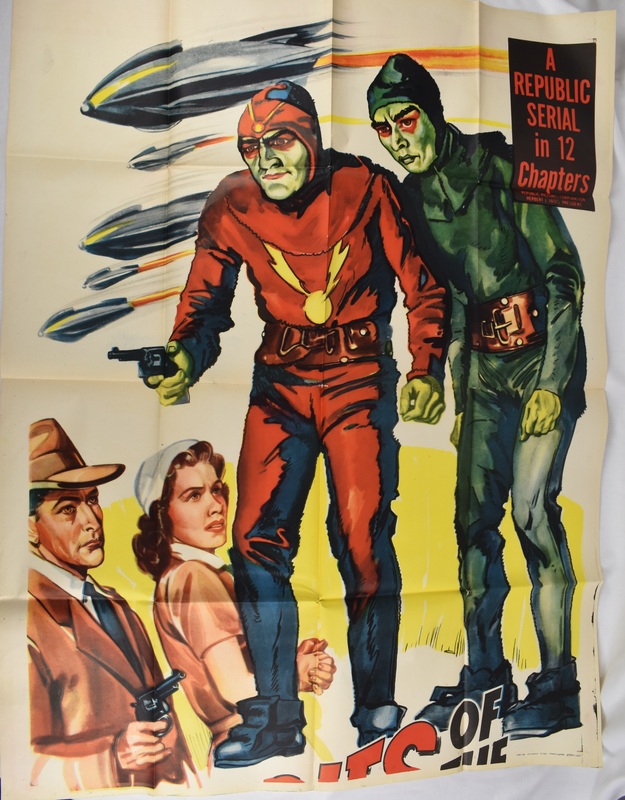 As in Radar Men from the Moon (also released in 1952), most of the screen time for each of the dozen chapters is spent on fistfights and car chases between the heroes and a gang of crooks hired by Narab and his extraterrestrial colleague Marex to steal and stockpile the Atomic supplies needed for construction of the H-bomb. The serial is best remembered as one of the first screen appearances of a young Leonard Nimoy, who plays Narab, one of the three Martian invaders.